Chocolate ice cream is good. Chocolate ice cream twisted with vanilla? Well, that's better! A little variation on a classic makes everything a little more interesting, don't you think? Just think about it. For instance, horse riding through the mountains would be pretty amazing but how cool would it be if that horse happened to be a unicorn? We just took an amazing experience and made it legendary. How about that! And yeah, it would be cool to go to a ball in a big pink gown but what if that gown was actually made out of bubble gum? Okay, okay. We took it too far. That would be super tacky in the most literal sense. But we're serious about twisting things up, a little pop of unexpected color can easily level up any ensemble! So the hair curls are up to you, we'll cover the colorful twist. 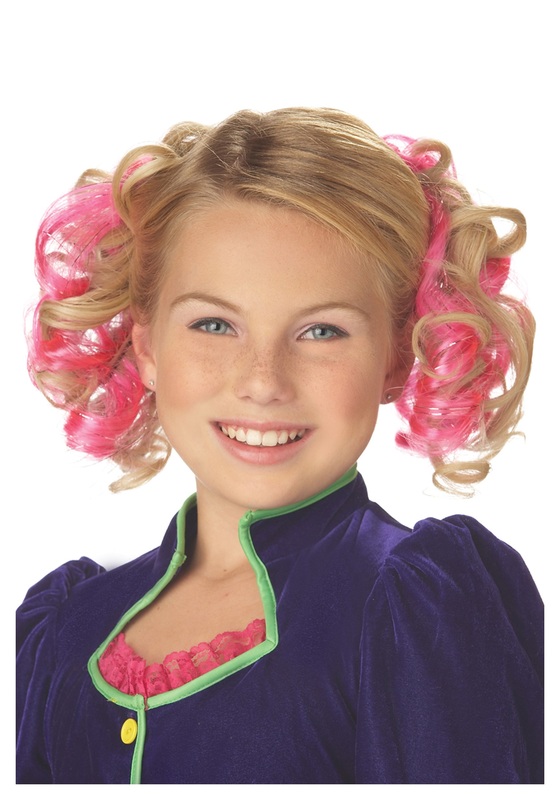 The ringlets simply clip into your hair with comb-like clips. You'll get two curls two wear in pigtails or a gorgeous pink curly bun. Now, we're pretty sure that curls can be incorporated into any costume but maybe that's just us. Add some excitement to that adorable Alice look. Make dance costumes pop with pink highlights. And hey, we all know that fairies would be in on this look as well! So whether these curls are for a special look, a costume collection, or a fun school event, you're sure to get plenty of use of these curls. Purchased these to compliment Halloween costume. Color is vivid and bright. Matches costume perfectly.